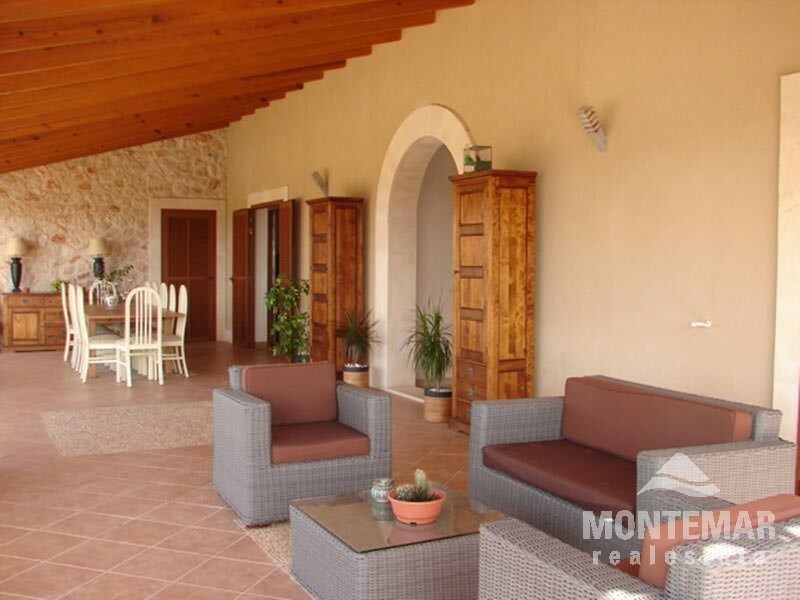 This spaciously constructed finca offers a living space of approx. 400 m². All over there are 6 bedrooms and 6 bathrooms, a very spacious living area with fireplace and a fully equipped kitchen. An open design and bright colours characterize this country estate. In addition to the outdoor pool there is also an indoor swimming pool. 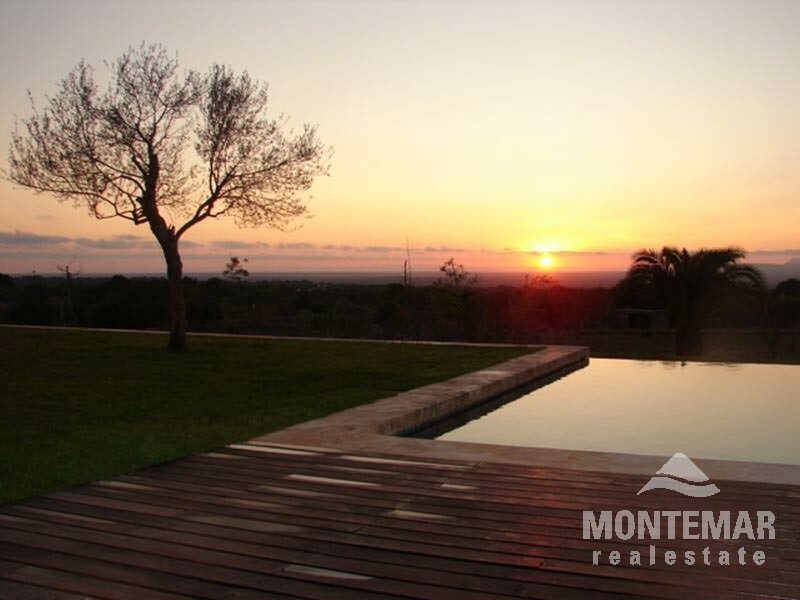 This finca is located in an elevated position between Santanyi and Campos on a plot of approx. 15,000 m². 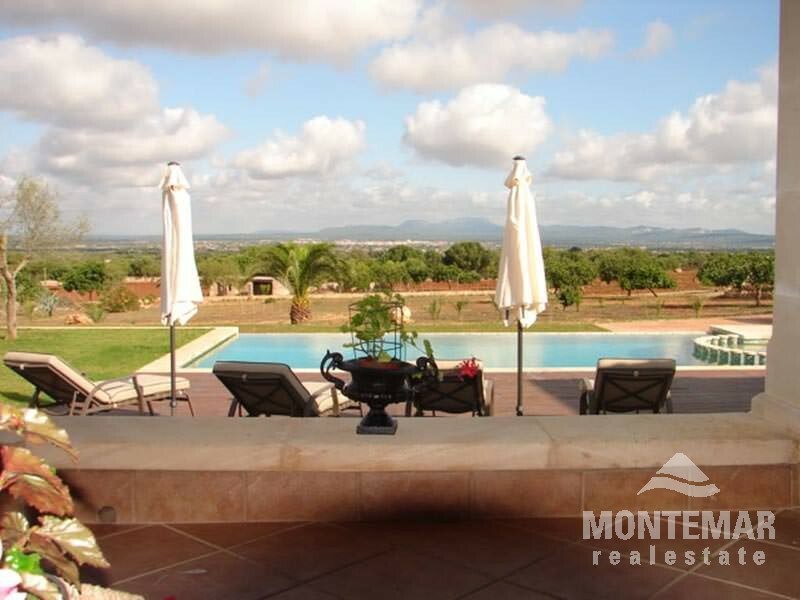 It offers a beautiful view over the surrounding countryside.